It is not an optical illusion when things get blurry after a night or many nights with little sleep. You may think that you are imagining those funny things. In fact, being grouchy and out of sorts is just one of the results that insufficient sleep patterns can bring to you. Lack of sleep can lead to several problems throughout your overall eye health, including redness, circles, itching, pain, and a number of other things. 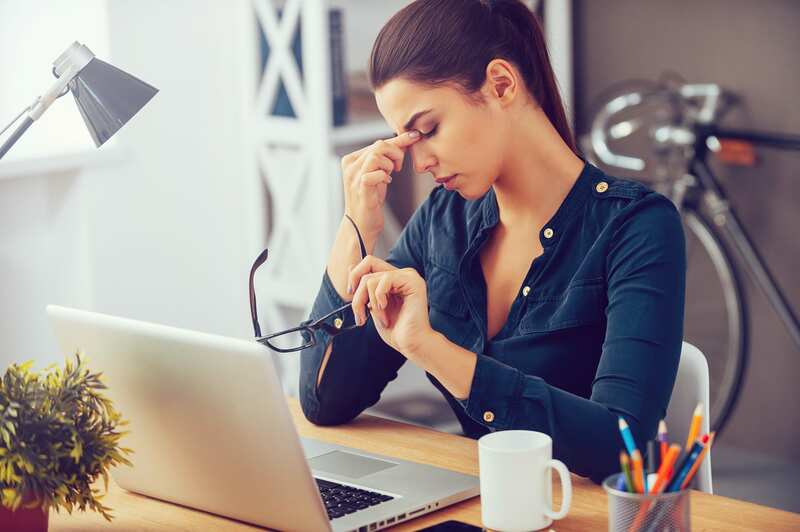 At Florida Eye Specialists and Cataract Institute, we want you to learn more about how lack of sleep can be problematic for your eyes as well as your appearance, with such evidence as red bloodshot eyes and dark circles. According to the Center for Disease Control, the CDC, many workers in the United States are now having less than six hours of sleep a night. The eye needs at least five hours of sleep to be fully replenished. While asleep, important nutrients are delivered to the eye and thus, leave your eyes feeling, and looking, refreshed in the morning. Eye spasms may result from lack of sleep; twitches that are called Myokymia can also be the result. Although these conditions do not cause permanent damage to your eye health, they can be annoying and disruptive as you go about your day after a sleepless night. One serious result of lack of sleep is that over time, popped blood vessels may result from eye strain. According to the Mayo Clinic, it can take seven to ten days for the vessel to repair itself. When eyes do not receive enough lubrication, the result can be dry eyes; a lack of sleep prevents the eye from being fully lubricated. Dry eyes can cause several symptoms, including pain, itching, sensitivity to light, redness, and blurred vision. Those who experience Sleep Apnea can have inflammation of the blood vessels in the eye or Ischemic Optic Neuropathy AION which can eventually lead to loss of vision. Lack of sleep decreases oxygen that is available for the eyes; this causes blood vessels to dilate and give the appearance of being red or bloodshot. Dark circles and bags under the eye are another result of lack of sleep. Retention of fluid around the eyes causes the under-eye area to appear puffy. This is often seen as “bags”, and the shadows that appear as dark circles are enhanced. Sleep-deprived people may be grouchy and appear to be somewhat off. They may also encounter a fuzzy feeling. Finding out what’s causing your lack of sleep and doing something to remedy it is the best step that you can take to feel better and avoid eye problems such as those referred to here. Finding the solution to problems of sleep loss should be your first goal in maintaining your eye health. However, if you are experiencing the feeling of seeing an optical illusion or blurred vision after a loss of sleep, contact us at Florida Eye Specialists and Cataract Institute to schedule an eye exam or talk to us about any problems you may be having with your vision. Since 1981, we’ve been the premier eye care and surgery center on the western coast of Florida. Utilizing the most advanced techniques, we add the factor of personalized service to assure that our patients are treated like family. We are driven by our goal of excellence. Call us or schedule an appointment to learn more about the link between your eye health and a loss of sleep.